For most of the early years of human history, when a person’s heart gave out…or any other organ, for that matter, it was often the end of that person. Doctors could only do so much, and there are certain body parts that we cannot live without. Of course, these days all that has changed. What used to be considered Frankensteinish, is now a part of modern medicine, and it is saving lives every day. Of course, I don’t think an actual head transplant has ever been done successfully, but many organs are successfully transplanted every day, and every day we hear about some other organ they can transplant…I even read somewhere, and of course, this could be fiction, that they were close to being able to do a brain transplant. I have to admit that the idea of a brain transplant is beyond what I can conceive, but it’s hard to say what is possible…especially when the first heart transplant seemed impossible before December 3, 1967. On that day, 53 year old received the first human heart transplant at Groote Schuur Hospital in Cape Town, South Africa. 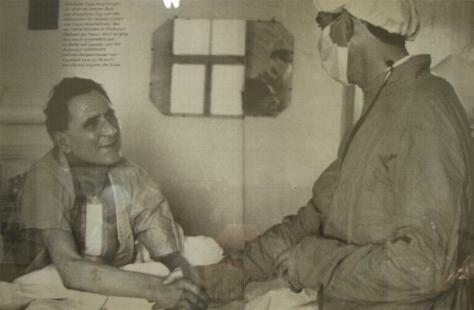 Washkansky was a South African grocer dying from chronic heart disease. Then, Denise Darvall, a 25 year old woman was fatally injured in a car accident. 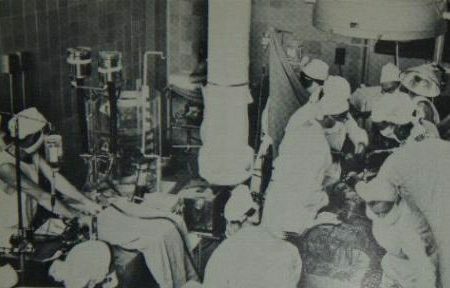 Surgeon Christiaan Barnard, who had trained at the University of Cape Town and in the United States, performed the revolutionary medical operation. The technique Barnard employed had been initially developed by a group of American researchers in the 1950s. American surgeon Norman Shumway achieved the first successful heart transplant, in a dog, at Stanford University in California in 1958, but prior to that time, transplants were simply a theory. A successful heart transplant, or any transplant for that matter, does not necessarily mean a long life after the transplant…unfortunately. 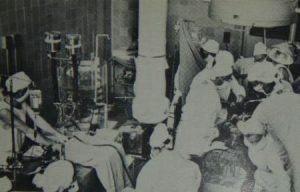 After Washkansky’s surgery, he was given drugs to suppress his immune system and keep his body from rejecting the heart. 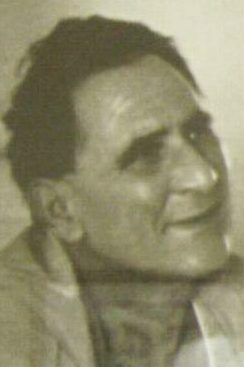 Those drugs worked well, in that Washkansky’s new heart had functioned normally until his death. Nevertheless, these drugs also left him susceptible to sickness, and 18 days later he died from double pneumonia. While losing him was a devastating setback, in the realm of transplants, the operation was an amazing success. Still, a successful transplant was not going to help people to survive, if the anti-rejection medications stifle the immune system and cause the patient to get sick and die of other illnesses that would have been harmless otherwise. In the 1970s, the development of better anti-rejection drugs gave new hope to the transplantation program. Dr. Barnard continued to perform heart transplant operations, and by the late 1970s many of his patients were living up to five years with their new hearts. Successful heart transplant surgery continues to be performed today, but finding appropriate donors is extremely difficult, because the donor must be a match to the patient in blood type and other factors. All too often, the patient waiting for a transplant, dies before a viable donor can found.